‘We that are true lovers run into strange capers’ says Touchstone in Shakespeare’s As You Like It. 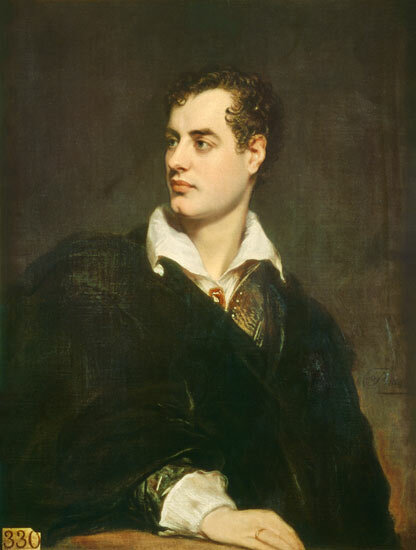 And nowhere can odd behaviour between lovers be demonstrated better than in a particular gift exchange between Lady Caroline Lamb and the Romantic poet, Lord Byron, whom she appropriately called ‘mad, bad and dangerous to know'. The two started a scandalous affair in 1812. Lady Caroline was already married to the man who would later become the prime minister, Lord Melbourne. Byron didn’t exactly have an unblemished reputation. In August of 1812 Lady Caroline sent a letter to Byron and enclosed a lock (I’m not sure that’s the right term) of her public hair. Lady Caroline was never Caroline Byron except in her wishful thinking. Biondetta is a character from Spanish fantasy romance novel, Le diable amoureux, published in 1772. Biondetta is the devil in disguise who seduces protagonist Alvaro. She writes ‘Ricordati Di Biondetta’ - remember Biondetta. Perhaps in doing so, she is reminding Byron of her seductive powers over him. I love that she signs off ‘Your Wild Antelope’. Lady Caroline is asking for Byron to send a love token in return, she doesn’t mind blood but she doesn’t want him to do himself too great an injury. The ‘quei capelli’ or ‘that hair’, indicates that she doesn’t want him to injure his private parts in the extraction. She instead suggest his arm or wrist.